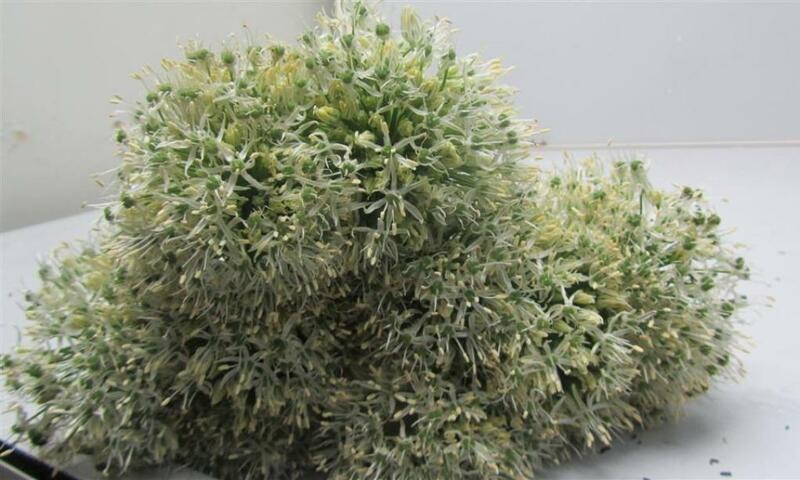 Wholesale Allium Mount Everest Available For Bulk Purchase. 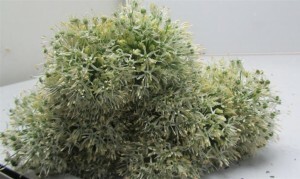 Allium Mount Everest and all other varieties of Allium are available for wholesale purchase. One of the most fun and dramatic flowers in all designs, Allium are found in centerpieces, wedding bouquets, simple loose bouquets and stand alone arrangements. Allium are known for their spherical cluster of blooms and length of their stems. We carry the highest quality Allium which are imported directly from farms all over the world. Allium are available in a vast array of colors including shades of purples, whites, yellows and even seed pods. Some varieties of Allium even have fringed or curly blooms. Allium flowers range in bloom size from 1 inch all the way up to gigantic globes of color 6 inches wide. Our Allium are sold ten stems per bunch and we custom pack boxes depending on the size and variety. The lengths that are available depend on the variety, but we regularly carry stems that range from 50-100cm. All varieties come in with the bloom closed and most are available throughout the year – with the best availability being during the Summer months. We suggest and recommended processing them 2 to three days before use in order to allow the bloom hydrate. The average vase life of Allium flowers are around 5-10 days. We import Allium mainly from Holland and South America, but when in season we prefer to buy from local farms. All Allium should be kept in a cool area for storage, or left at room temperature to allow to hydrate or open before use. We can accommodate special orders of bulk quantity of a specific color or variety, please give us 10 days notice – often we can accommodate last minute orders as we keep many varieties in stock. We specialize in selling wholesale Allium Mount Everest for Valentine’s Day, School and Church Sales, Fundraisers, Weddings and Special Events in the New Jersey and New York City Area.